A collaboration with knife designer Bill Harsey, Chris Reeve's Professional Soldier Tanto in Flat Dark Earth PVD is a frame style fixed blade knife perfect for tactical, military, and combat applications. They are lightweight and durable, but sleek and extremely functional. 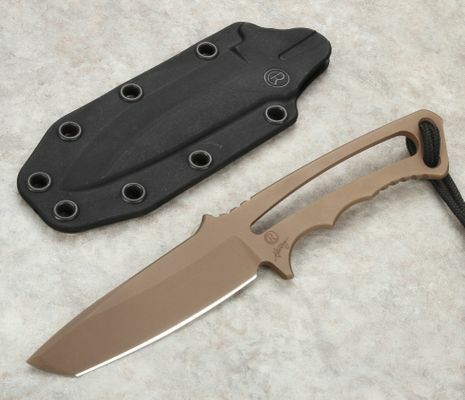 The Chris Reeve Professional Soldier Tanto features a 3.375-inch Crucible S35VN steel blade with a stylish tanto design. The blade of the Professional Soldier Tanto boasts a 58-59 RC, meaning it will sharpen extremely well and offer excellent edge retention. It also provides a great balance between hardness and toughness, giving it the strength and durability to stand up to many uses. 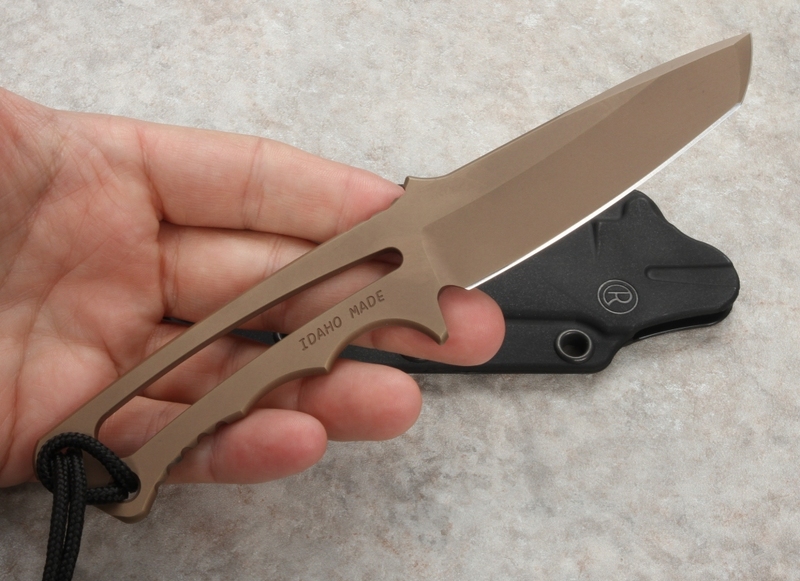 The reinforced tip of tanto blade is ideal for military, tactical, and self-defense uses. 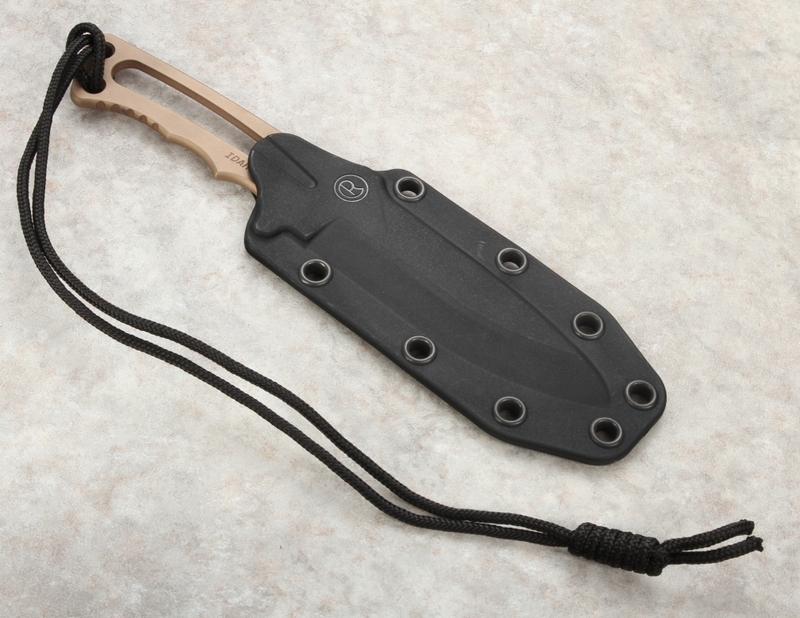 Chris Reeve's Professional Soldier Tanto comes equipped with a slim, snug-fitting Kydex sheath, wrapped in a 36-inch nylon cord to allow for numerous carry options. The Professional Soldier Tanto is easily accessed whether it's carried around the neck, strapped to a MOLLE vest or backpack, or tucked into a cargo pocket. 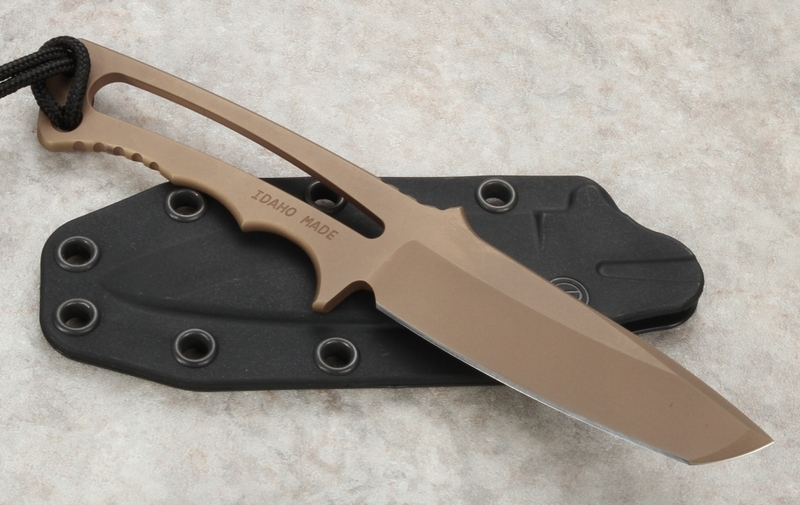 The Flat Dark Earth PVD coating adds extra protection and rust resistance to the already stainless steel knife and helps the Professional Soldier Tanto blend perfectly with a desert camo rigging. Chris Reeve, born and raised in South Africa, has been designing and manufacturing knives of the finest quality since 1984. The Professional Soldier Tanto is made in the USA with the same precision, durability, and reliability that earned Reeve an induction into the Cutlery Hall of Fame in 2015. KnifeArt.com is an authorized dealer of Chris Reeve Knives. We offer same business day free shipping, hassle-free exchanges, and a select inventory of the best knives and tactical gear.